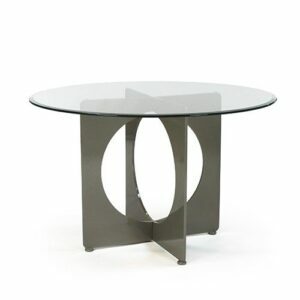 Shown with GL54, 54 in round glass, 1/2 thickness with beveled edge. 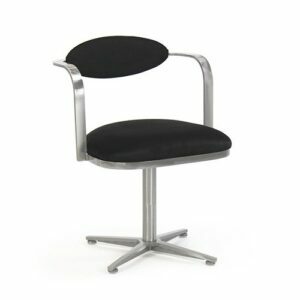 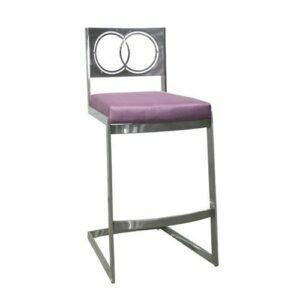 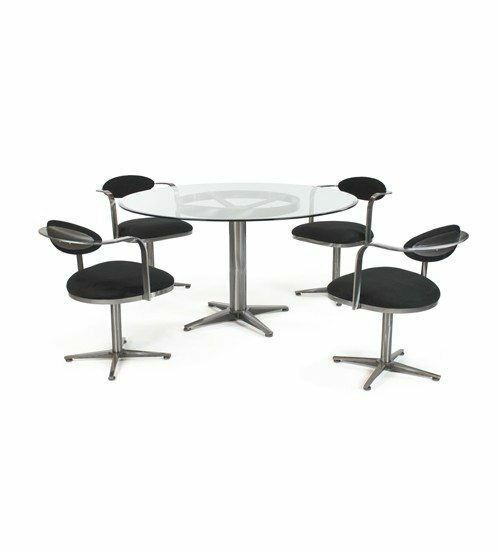 A practical contemporary dining set featuring stylish cushioned swivel chairs. 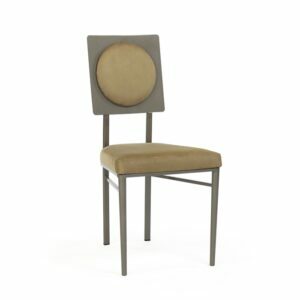 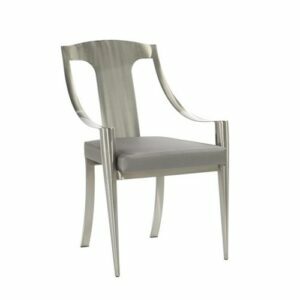 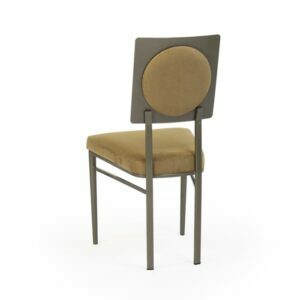 The chair backs have curved and carefully angled back supports that provide ideal comfort. 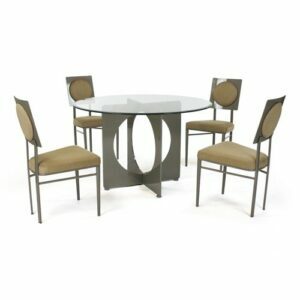 The table base and chairs feature a matching design aesthetic.